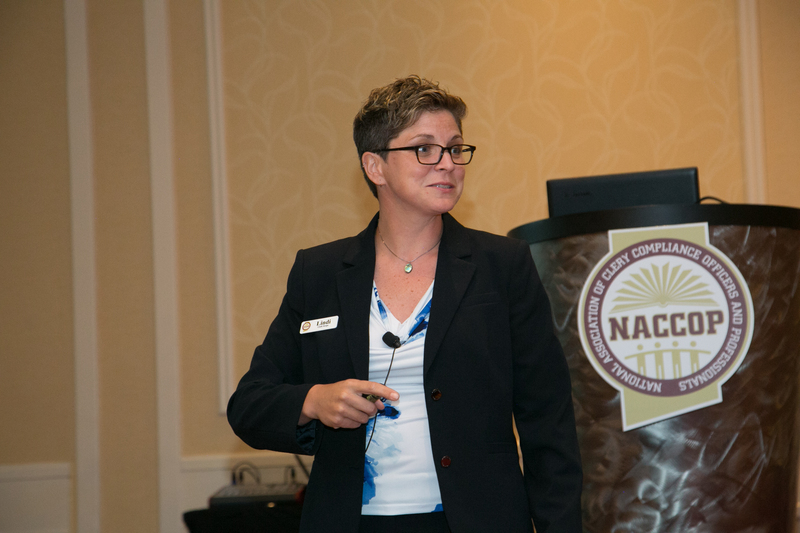 The National Association of Clery Compliance Officers and Professionals (NACCOP) provides a professional association for Clery Compliance Officers and Professionals to collaborate with each other and share resources and best practices. Members are also offered opportunities to participate in professional development engagements which support colleges and universities in their efforts to comply with the Clery Act. 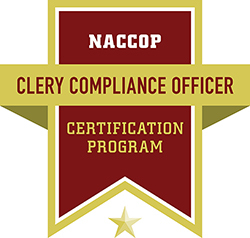 NACCOP delivers members with resources to enhance their knowledge of the Clery Act by offering education and training opportunities for the employees who are acting as Clery Compliance Officers on college campuses as well as information about Clery-related news and legislative updates. In addition, members receive discounted Professional Development Opportunities (Minimum savings of $100+ per event). The 5th Annual Conference will feature outstanding opportunities for professional development with more than 20 educational sessions and will highlight a 5th Anniversary evening dinner event. There are 5 Pre-Conference sessions that allow for a “deep dive” into various aspects of the Clery Act, Title IX and the Drug-Free Schools and Communities Act. Click on this link Annual Conference for more information. Webinars: Individual Webinars (some of which are conducted in collaboration with Association partners) and the 10-Part Clery Act Webinar Series that starts in January of each year. This allows NACCOP members who can’t travel to participate in what equates to a 2-day Clery Act class. Institutions can register for the 10-part series or to participate in individual webinars within the 10-part series. Clery Compliance Officer Certification Program: NACCOP offers a Clery Compliance Officer Certification Program (CCO Certification Program) for eligible employees of colleges and universities who want to benefit from NACCOP’s unmatched practical expertise in leading and managing Clery Act compliance activities. 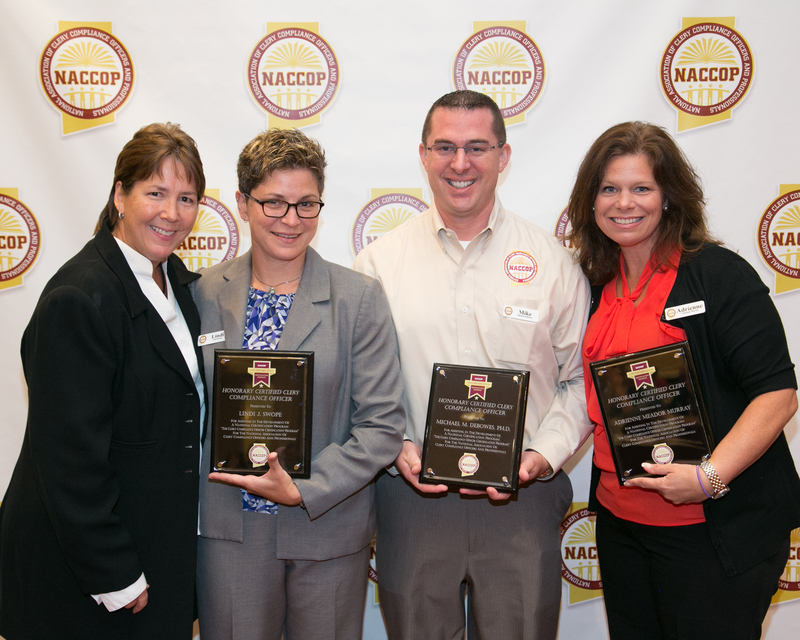 The CCO Certification Program will provide participants with the opportunity to immerse themselves in a comprehensive professional development program that leads to a professional credential from the only association serving the needs of Clery compliance officers and professionals. NACCOP is launching new 2-Day Regional Clery Classes around the country in 2018. For more information or to register, click here: The Foundations of the Clery Act. NACCOP has partnered with D. Stafford & Associates to develop the curriculum and is providing these regional classes in conjunction with IACLEA. See all class dates here.